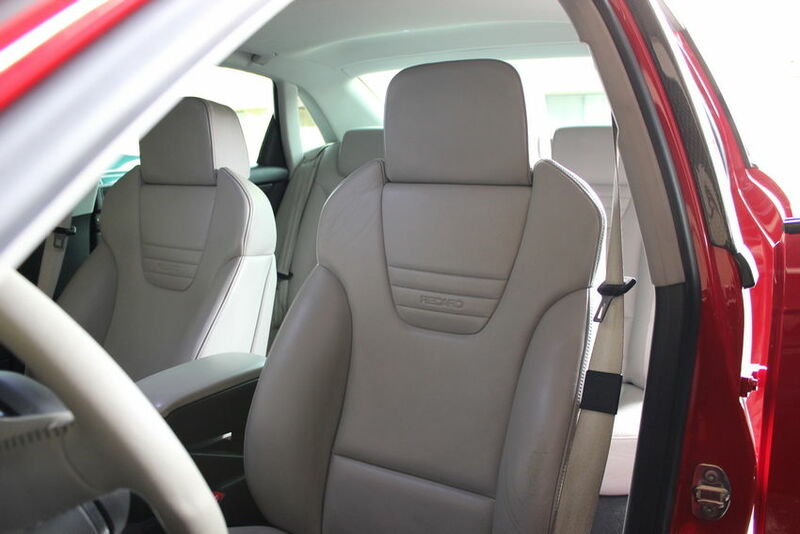 I get a lot of questions about my “white” leather seats and how on earth I keep them clean, so I thought I’d write a post to share how I do it. I’m not saying this is the best way to clean your seats, but it has worked well for me. 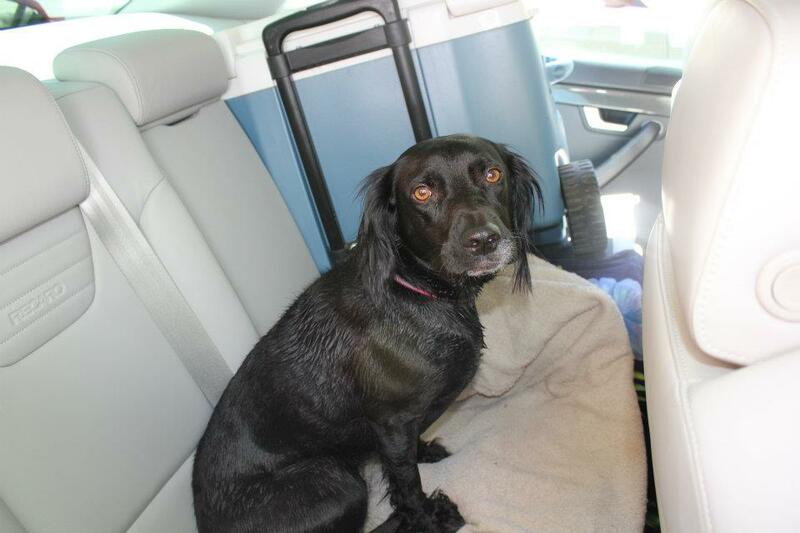 My car is my daily driver and frequently has dogs, mud, and other dirty things in it, so I’m not easy on it either! I was an automotive detailer for a few years in high school and although that doesn’t make me an expert, anyone who knows me knows that my car is always super clean and always commenting on how everything looks brand new, despite the car being nearly 7 years old now. The color of the seats is named “Platinum Silver” by Audi but the color is pretty much white. There are a lot of advantages to this color, most notably they stay very cool in the summer (a huge plus living in Arizona where temperatures can reach up to 120 degrees Fahrenheit! ), plus I think they look sporty and unique. The downside of the color is that it does not hide dirt well, and even worse if the leather starts to crack at all, the cracks are VERY noticeable. The key is maintenance. I wash down my seats at least once per week. Sadly if you bought your car used, you don’t have much control over damage that’s already done due to neglect from the previous owner. 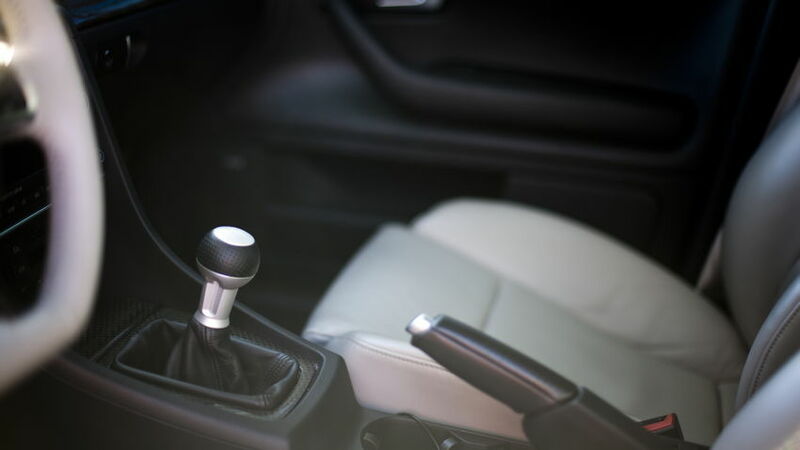 If the leather is badly cracked or soiled, your best off to enlist a professional detailer or upholstery shop that specializes in re-dying leather, or buy some high quality car seat covers instead. But assuming your seats aren’t “beyond repair”, the best strategy is to keep on top of the seats and never let them get too bad. If you take good care of them, they’ll age nicely and look fresh for many years to come. I have been using Leatherique to maintain my leather but I also hear that Leather Masters is quite good. Regardless, I recommend you use one or the other and stray away from the store-bought brands like Lexol that I’ve never really been impressed with. A few extra dollars for the professional grade detailing products is well worth it in my book. Pristine Clean is really good at removing spots and discoloration and gets the seats looking bright white again. It also firms up the leather some and gives the interior a nice smell. I frequently get compliments on how good my car smells after I’ve detailed the seats, which is a cool bonus of this product. The product itself is not very harsh and easy to apply and remove. I recommend using a clean microfiber and my approach is to use a different microfiber for every product you detail with – so I have a microfiber only for seats, one for glass cleaner, one for spray detailer, one for interior cleaner, one for wheels, one for tires, etc. It never hurts to have too many microfibers. 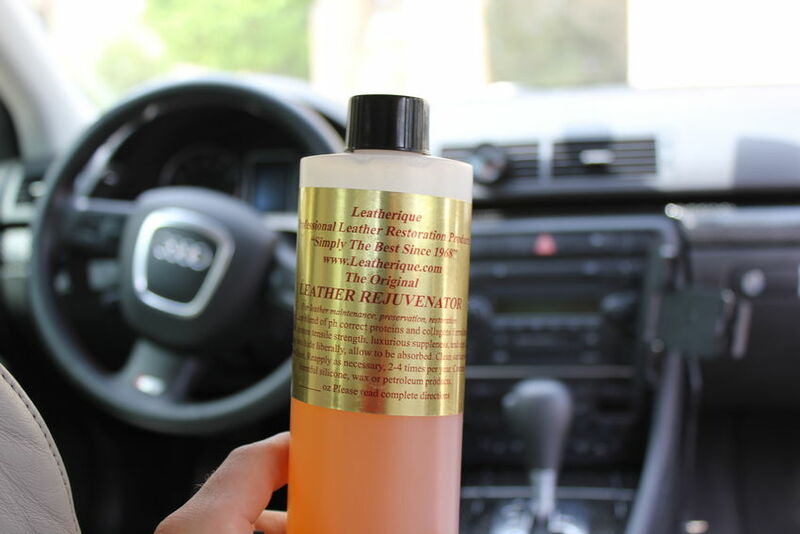 The Pristine Clean is great for bi-weekly or monthly maintenance, but if your seats are in bad shape, or if you just want to be extra thorough, the Leatherique Rejuvenator Oil is a powerful product. The instructions recommend that you cover your seats in a generous amount of the product and then sit your car in the sun for 24 hours to let the oil bake into the leather. I put trash bags over the seats to really trap in the oil, and apply second and third coats over the time period to ensure that the seats soak up as much oil as possible. You’ll then want to wipe the seats down with a wet rag and then clean with Pristine Clean to finish the process. You’ll see tons of containments pulled out of the leather and the material should feel softer and more supple. The oil will NOT repair heavy cracking, but may make the cracks appear less worse and may even hide some minor cracks and discoloration depending on the severity. This is a powerful product but not a miracle worker so expect it to make your seats look as good as they can without redying or repair. Brooks – the pictures with the black armrest are from my A4, so I didn’t really swap it out per se, I traded in that car and got my S4 which had the OEM silver arm rest. When I had my A4 I tried to buy a center armrest in silver but the colors are tricky. On that eBay link you have to be careful as silver and grey are not the same color, and the majority of those appear to be the wrong grey and wouldn’t match. In my case I bought one that looked like it would match but totally didn’t. I think it’s pretty rare/hard-to-find a platinum silver center arm rest but keep your eyes peeled and make sure its the right color before you buy! I have a Cadillac 1991 Fleetwood brougham it has white leather and is in great shape but just for keeping it up (maintenance) do you suggest i use same method of treatment on pure white leather please give me opinions thx much and nice Audi! !! You have a great blog but may I ask you something. 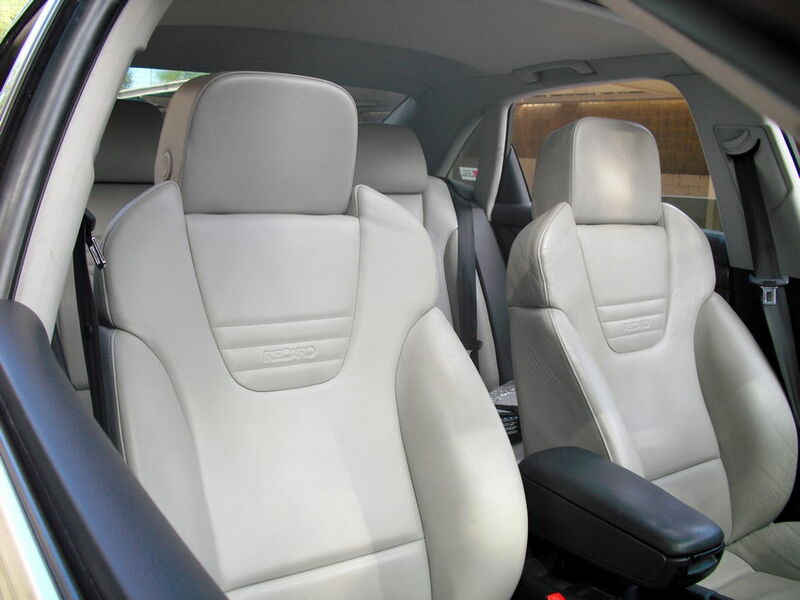 I am planning to buy and Audi with “White” or least very light coloured leather seats. My only really big concern is the longevity of the seats given that I am planning to keep the car for a long time. What is your opinion? Will they start to discolour eventually? I have read your blog entry below. I have a 06 Range Rover with white seats, I recently purchased it and the seats were “off” white, I realized they were dirty, so after reading your blog I purchased the Pristine Clean off Amazon and the directions that were along with the product says to massage it into the leather and let sit in sun, I thought this was odd since it was such a light liquid – well that was the directions for the Rejuvenator. I don’t think its a big deal, but I’d take it off. Use some warm water and a clean microfiber and use a damp cloth to sponge it all off (same instructions as the Rejuvinator oil). Keep ringing out the cloth and then applying more water, then when all of the residue is removed do a quick spray & wipe of the seats using the Pristine Clean to get any remaining chemicals off. Hi – I’m thinking about buying a new Mini 4 door with white/beige leather seats ( sporty) but we have a 10 year old son and a golden retriever. Is this a practical option or should I just go to black seats with white accents on the door panels? Just bought a volvo xc90 “blond” interior. Love it. I have a 6 yr old boy though…please pray for me in maintaining these fine leather seats!! Nick, I appreciate this blog piece. I have a 2015 Kia Optima SXL that has white nappa leather, and the seat bottom bolsters are already getting dirty after 2 years, even though I have routinely cleaned/conditioned the leather with meguires/mother’s products. I want to try the Leatherique Prestine Clean products. Where is the best/cheapest place to buy these? Online? We just bought a volvo XC90 2017 and it has the blonde interior. The salesman said that colors (like jeans) would rub off on the leather. He wanted to sell us a 800.00 treatment like a scotch guard type thing. What do you recommend? In all seriousness, I would get a better idea of exactly what that entails, $800 seems outrageous…you could get a local detailer to do it for closer to $200 and even that is a generous price for an interior detail/protectant. Like anything with the dealer this can be haggled, and if it’s a bigger dealership they have detailers on staff so their cost to apply this is just the raw materials since the labor is already a sunk cost. You could probably get them to include for free, or at least a lot cheaper. Nick, I was really pleased to find this forum and read your article. I have a ’14 Cayman S with the “Platinum Silver” white / light gray leather seats, and I’ve experienced bad “crocking” from my jeans. I tried using Leatherique Pristine Clean, but probably didn’t allow it to soak in properly.. It did clean some of the dye, but now it’s gotten much worse, probably due to some new pairs of jeans and this is my daily driver. Looking around at different sites, I’ve seen many products offered to address this issue, but one in particular, a UK product called FurnitureClinic Leather Stain Remover, was impressive, and they demonstrated it on white leather seats using that clear liquid product to lift the dye stains out, then they use their leather cleaner then leather conditioner to finish up the process, and the video appeared to show it doing a great job. I’ve been a Leatherique guy for years with my old Boxster S, and have always sworn by it, but I’m wondering if I should be considering buying the FC stuff for the removal of the dye stains, and the Leatherique to finish cleaning and protecting the leather. I’d appreciate your thoughts / direction on the matter. Nick, As a follow up, I received the FurnitureClinic Leather Stain Remover, and it worked wonders – cleaned all the dye off of the seats, save for the seat bolster, where the leather had been abraded and the stain was worn into the leather. It worked amazingly well, and I followed up with Leatherique Pristine Clean and then Leatherique Restorative finish, and achieved very good results. I’ve cleaned the entire seat, including the center and door arm rests, and it looks very good. I am planning to redye the bolster to Platinum Gray, but haven’t taken the step to order the proper dye, which I need to do soon. I’ve also ordered some 303 Leather cleaner / protectorant, which is supposed to work like the other 303 products I’ve used, and provide a teflon like finish to protect the leather. I’ll keep you posted on further progress, and thanks again for your site to provide help and inspiration. hi Nick, I’m about to buy a new Infiniti QX30 with white nappa leather. What product can I put on the seats immediately, to help prevent stains/dye transfers? Is the Prestine Clean sufficient? Is an initial treatment necessary with new car leather these days? I am impressed/encouraged by the state of your white leather after so many years! It’s great to know what works best on them instead of relying on trial and error! Nick, great post. I do not own an Audi but rather looking at a 2017 Ford F350 with a light tan interior. I have read that Fords seats and interior have some parts that are leather and some that are not, such as headrest and not sure about center console rest. My question is will your process and products used work for areas that are not leather, or do I need to alter the process to take the non leather areas into account? If you have leatherette (2018 Tiguan) seats do the same rules apply? Yeah, most leather cleaners are designed for boht real and faux leather, since most manufacturers are putting fake leather in these days anyway. The most important part is to keep up with them regularly. I like 303 Aerospace cleaner for that. You can probably skip the Leatherique for vinyl/leatherette. Nick I live here in PHX too and am wondering if you use bottled water for the wet wipe downs. I am terrified about using my water on anything that matters since it is so hard. You could always use distilled or filtered water if you’re worried about it. We have a BRITA faucet filter that works well for filling up buckets or spray bottles. I never worried about it personally, you can drive yourself nuts being too much of a perfectionist but I know some people do. Thanks for your great site Nick. I have the opportunity to buy the new Tesla Model 3 which, as of today, has a possible upgrade to a completely white leather interior. It looks very nice but never having had leather seats I’m curious if it requires a significantly increased effort to keep looking nice compared to the black leather?